We wish to thank Jimmy Smith for his recent significant and timely donations. He generously gave of his time and talents in providing a much needed computer for PWR. He installed it and has been available to assist with related issues. His donations have equipped us to purchase supplies for the fall including Hansel and Gretel's favorite chow, and supplies for the baby squirrels beginning to come in now for care including squirrel specific milk and rodent block. 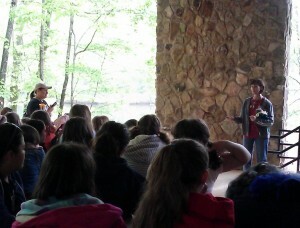 Sue Fields, Melissa Coe, Helen tucker and Ciara Johnson present wildlife program to scouts at camp Keyauwee, Sophia NC. 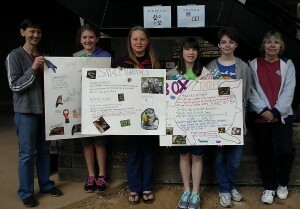 Wildlife Program with GS Troop 41572 as Camp Keyauwee. Hansel and Gretel: in the news! 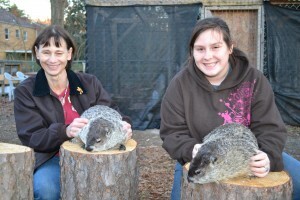 Hansel and Gretel, our resident groundhogs, celebrated Groundhog Day 2013 in Fayetteville, NC at Fayetteville's Clark Park Nature Center. They spent the day visiting children and making their seasonal predictions. Read the story of their visit in the Fayetteville Observer. And don't forget to check out the photo album of their visit. 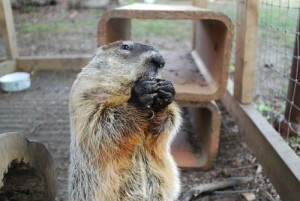 Here at PWR we have two special reasons to celebrate Groundhog's Day: Hansel and Gretel, our resident groundhogs. 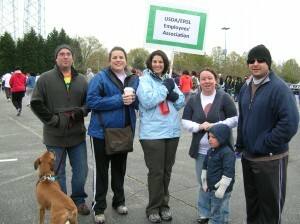 The holiday is also a chance to thank our friends and volunteers. In honor of the groundhog, check out our new coloring pages, a photo gallery of some of the groundhogs we have had the privilege of working with and our latest video! This video is our way of thanking the Likewise Jazz Trio for donating their time to perform for us at a fund-raiser last year. We also wanted to tell Hansel and Gretel's story. They have touched the lives of many people through their work as our ambassadors. Hansel and Gretel came to us two years ago when only a few days old. Their mother was accidentally killed by a construction worker. A caring neighbor found them. When they came to PWR as babies, Hansel and Gretel had some minor health issues that prevented them from being good candidates for release. 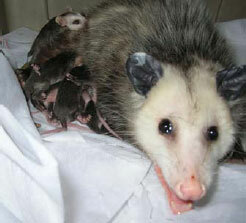 We applied for a permit to give them status as educational animals. So when they wake up this Spring, they'll have work to do. They will travel to schools and workplaces to continue to tell their story, the stories of other native wildlife and of PWR's efforts. Watch their video and don't forget to check out the photo gallery for more pictures of Hansel and Gretel. 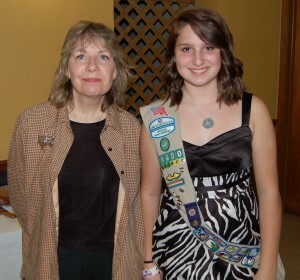 Congratulation to Rachel Chism for receiving her Girl Scout Silver award December 2, 2011, for her projects benefiting Piedmont Wildlife Rehab. Rachel is the daughter of Rick and Sherri Chism. Thank you Rachel, well done. We are proud of you! Few people know the real scoop behind wildlife rehabilitation better than Helen Tucker. 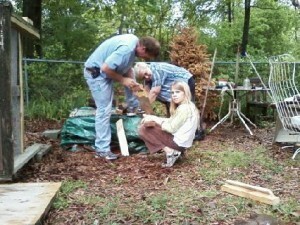 She is Piedmont Wildlife Rehab's little known and seldom thanked secret force. It would take a billboard sign and a truckload of money to begin to thank her properly. So who is she and what does she do that is so special? To begin with, Helen is retired. That means she no longer works for pay but brings all of her skills, talents and life lessons to work with us for free because she loves people, hard work and animals. She is old school. That means to us she has work ethics. She enjoys hard work, challenges and doing something right because it is the right thing to do. Helen is a giver, her time, money, ear and shoulder. Helen found PWR over a year ago and jumped in with hands and feet. She wanted the jobs no one else wanted to do and with a smile and a laugh took it all on. 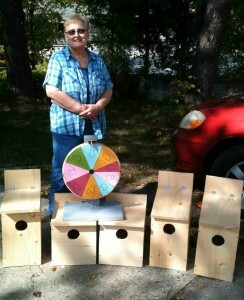 Recently we mentioned needing more squirrel nest boxes and that someday I would love a prize wheel for our fundraisers but could not afford it now. Within just a few weeks Helen produced not only her hand made nest boxes but a beautifully crafted and original prize wheel. She is a handy outdoors as in. Most of our days in the summer were spent out in the heat repairing or building cages, digging holes, shoveling sand or stacking brick, and working with the wildlife. Helen is the kind of person that needs little direction, sees the need and jumps in. Helen helps with our educational programs and fundraisers but with a history of work as an IT we covet her help with our website, emails, paperwork and computer issues. We recognized her gifts and made her our Vice President of Administration. Loving animals, Helen has gone beyond most in the number of hours spent and miles driven between High Point, Jamestown and Greensboro to work at one of our PWR homes, delivering supplies, picking up wildlife and runs to a Veterinarians. 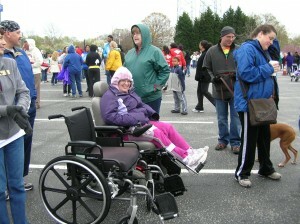 All of our rehabbers have benefitted from her help and although she is quick to tell you she is not a rehabber, she is! 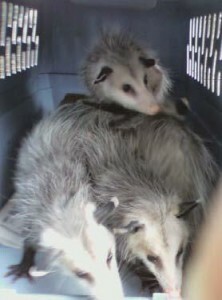 This year Helen took on 7 baby Opossums while someone took vacation and again recently her gentle hands perfectly attended to a humming bird. Wildlife Rehabilitation is not all fun. There are often difficult decisions to make and heart aching things you must see and do. Although she did not have to, Helen has also helped with these hard things because she has the right stuff, the qualities of a good rehabilitator, willing to work hard and continue to learn and stretch. Helen will be moving in a year or so and given we cannot move with her, I hope those she helps next will appreciate what she can offer. Helen, we don't often say it but thank you, for all you do, who you are, all the adventures and most of all for being our friend. 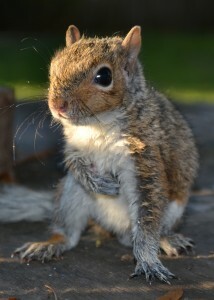 This fall baby squirrel season we have taken in more squirrels than ever before! 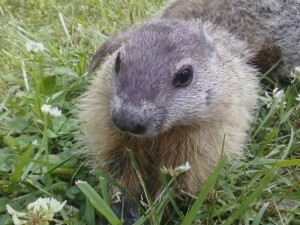 Unfortunately, many of the almost 60 we have taken in will not be ready for release until spring. If you have an abundance of acorns or nuts in your yard that you plan to rake, we can use them! Please do not take all of the of them, as your local wildlife depends on them. You can store them in a container that can breathe, such as paper bags or burlap. Acorns hold moisture and will mold and begin to sprout if kept in plastic bags for more than a few days. Why not do a double dip service project?! Find a senior citizen or single adult that needs a hand getting their acorns up, and then get them to us! Thanks to some great volunteers, Rose's babies have a new cage. 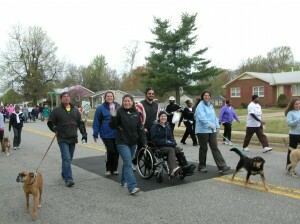 They walked, rolled and ran to help wildlife! 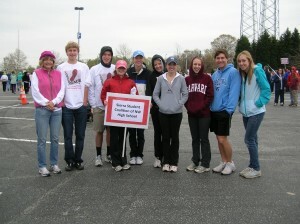 Kim Santos coordinated this years Human Race for PWR. 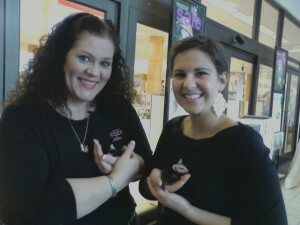 Katie Rose and Helen Tucker helped her bring in the most we have ever made off this event! Great job Ladies! 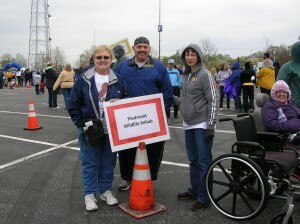 Special thanks to our walking teams and those we know walked for us that we did not see, hope you all had a great time and thank you for helping us get closer to our goal. 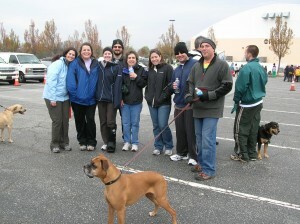 If you have pictures of the walk please send them in or post them on our PWR facebook site. We will be adding more there as well!